A beautifully perfected smile can inspire self-confidence and make a lasting positive impression. 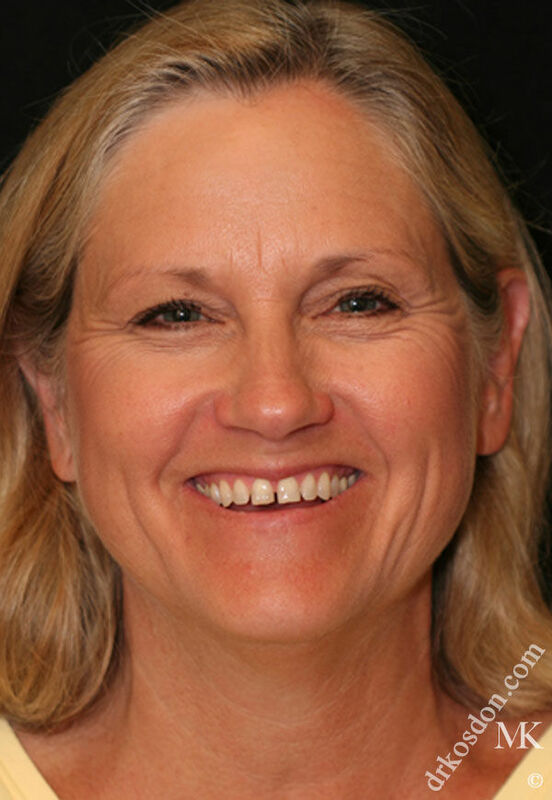 For many individuals, correcting bothersome dental flaws or recapturing a more youthful smile can be a life changing experience. 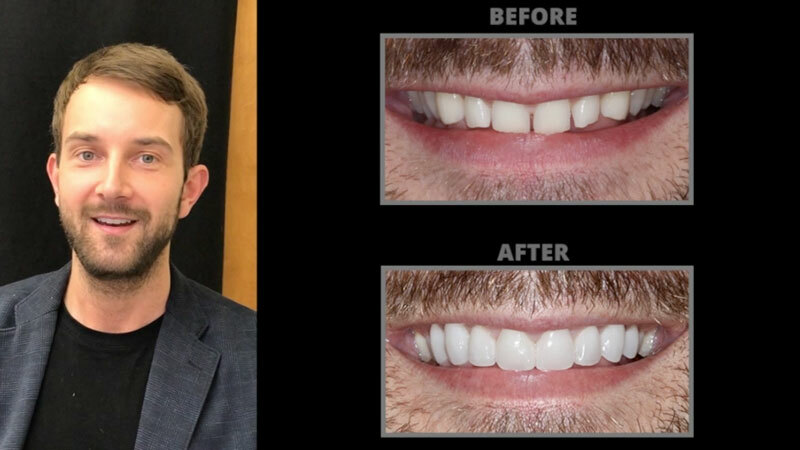 To accomplish smile makeovers like these, cosmetic dentist Michael Kosdon, DDS offers high-quality porcelain veneers that can create amazing results. 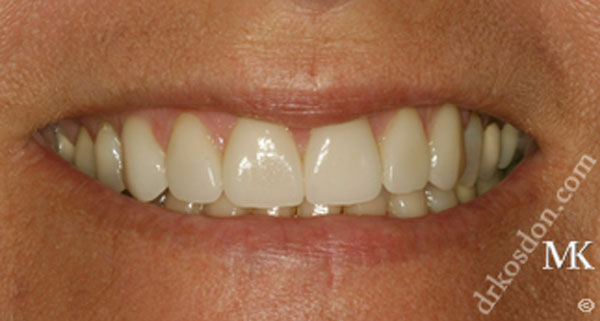 What Can I Expect After My Veneers Have Been Placed? 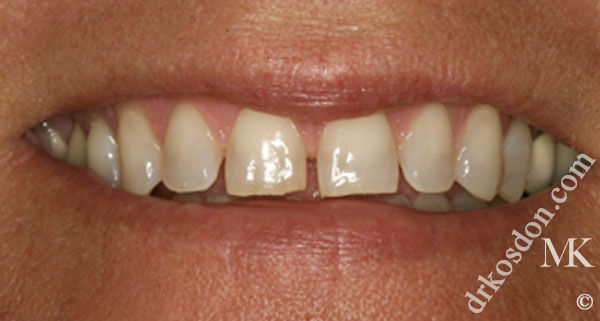 What Is The Best Way To Care For My New Porcelain Veneers? Porcelain veneers, also known as dental veneers, are a popular, virtually painless cosmetic dentistry procedure that can address a wide variety of common dental concerns. 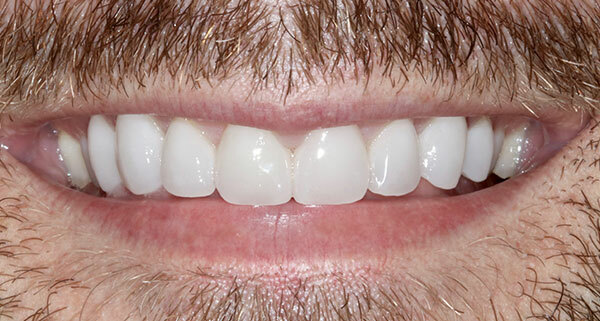 Constructed from a very thin, yet durable, ceramic material, veneers are bonded to the front of each tooth to form a beautiful, natural-looking smile. 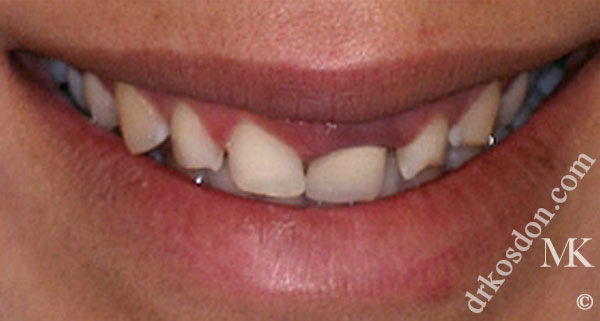 In some cases, porcelain veneers can even be used to improve the appearance of mildly crooked teeth in place of orthodontics. During the consultation process, Dr. Kosdon carefully examines all areas of concern and evaluates whether porcelain veneers are the best option for achieving the improvements you desire. 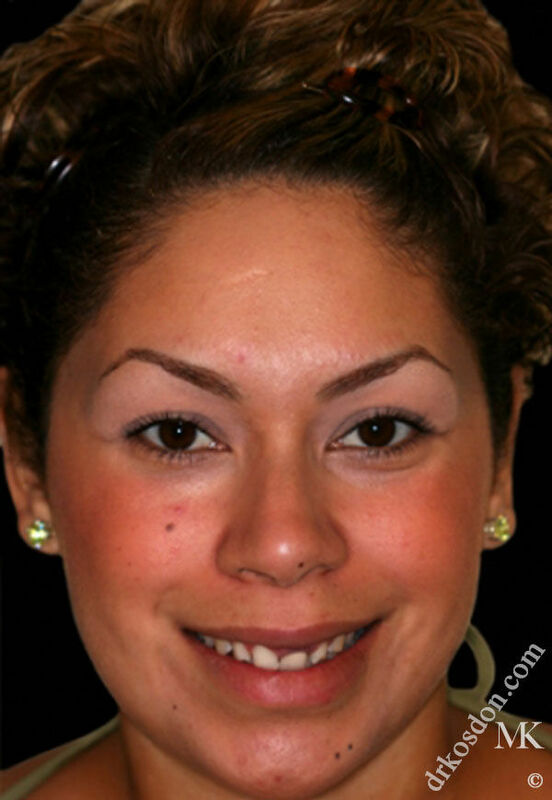 Nearly anyone with good dental health and sufficient tooth enamel can be a good candidate for porcelain veneers. The versatility and conservative nature of the procedure make it ideal for accomplishing cosmetic enhancements which used to require extensive dental treatment. If you are wondering about whether porcelain veneers are the right option for you, we encourage you to schedule a consultation with Dr. Kosdon. 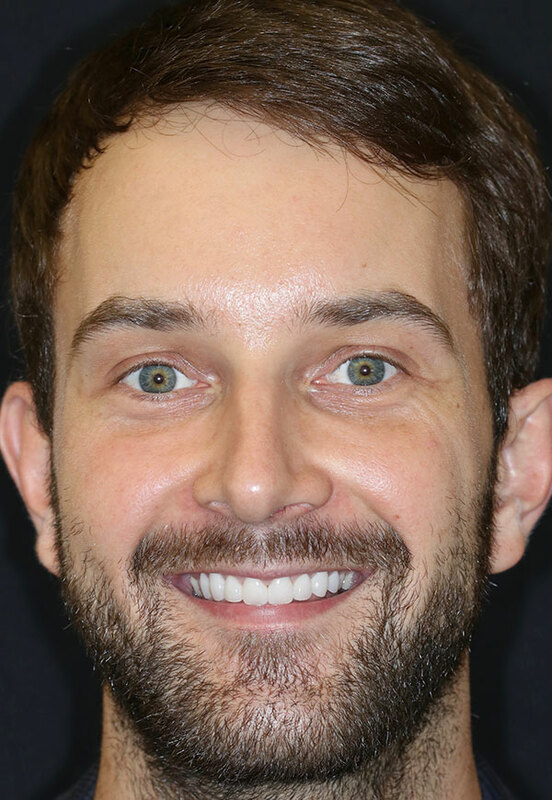 In order to consistently achieve beautiful, natural-looking results for his porcelain veneers patients, Dr. Kosdon works closely with his own personal ceramist. All veneers and restorations are custom crafted according to their meticulous plans specifications, using only the most innovative and reliable techniques. Utilizing quality materials and trusting the skill of highly-experienced ceramist are both integral components of Dr. Kosdon’s process. He believes the contributions of an expert ceramist can not be underestimated, as they significantly impact the final outcome of any porcelain veneers procedure. Typically, the process of improving your smile with porcelain veneers can be accomplished within the span of three visits with Dr. Kosdon. 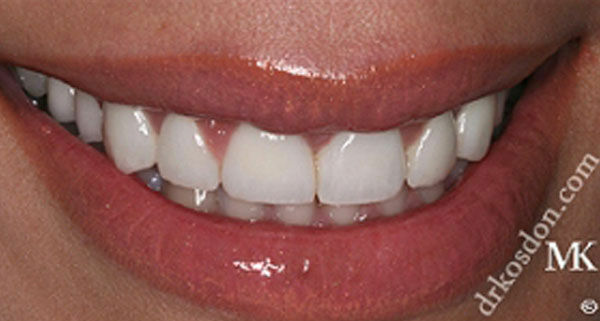 The first step is the consultation, followed by an appointment to prepare the teeth and create a temporary “trial smile”, and finally the fitting and placement of your custom veneers. Dr. Kosdon believes that an in-depth consultation is a vital step toward achieving an ideal outcome with porcelain veneers. During the consultation, he takes the time to understand the unique personality of each patient, in addition to learning all about their particular goals and concerns. 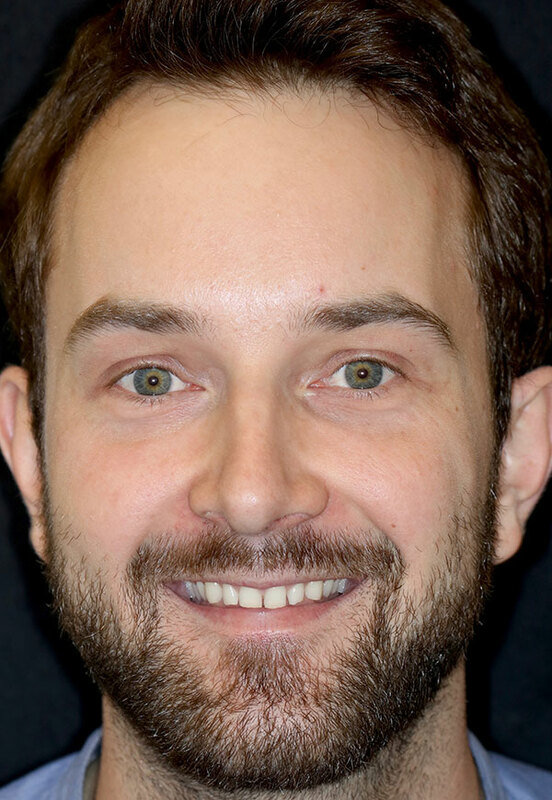 By using the information he gathers, performing a comprehensive smile analysis, and taking diagnostic impressions of the teeth, Dr. Kosdon is able to determine the most appropriate strategy for smile enhancement. Once Dr. Kosdon has fully developed your porcelain veneers treatment plan, the next step is to prepare the teeth, take impressions, and create your temporary veneers or “trial smile”. 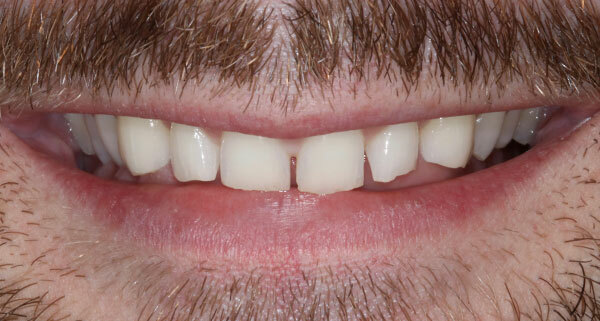 To prepare for veneers, a minimal amount of enamel must be removed from the front side of each tooth. Impressions are then made of the prepared teeth. These impressions enable Dr. Kosdon and his ceramist to collaborate and create custom-made veneers with a precise, accurate fit. At the end of this appointment, Dr. Kosdon will create temporary veneers to protect your prepared teeth and provide a preview of your new smile while your permanent veneers are being fabricated by his ceramist. When your custom veneers are ready, Dr. Kosdon will check the fit, shape, and color to ensure proper results, and then firmly bond your veneers in place. Once cementation is complete, he will make any necessary adjustments to perfect the appearance and provide maximum comfort. I recently went to Dr. Kosdon for veneers and had a great experience. The process was much quicker than I anticipated– (start to finish was about 2 weeks) and Dr. Kosdon made me comfortable the entire way through. He knew I was anxious about the process and answered all of my questions and checked in on me the whole way through. My smile looks natural and finally looks like it belongs to me– I am so happy with the results. Immediately following the procedure, some patients can experience mild tooth sensitivity which dissipates quickly and generally lasts no longer than two weeks. Once you have adjusted, your teeth should feel natural, function normally, and look beautiful. 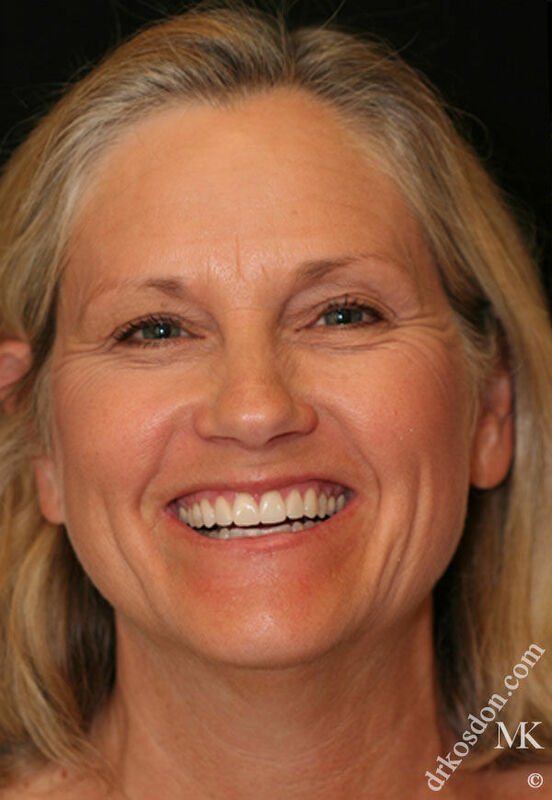 If you are considering a smile makeover with veneers, we encourage you to review our photo gallery of results for visual reference. Many of our patients have transformed their teeth with veneers and are amazed by the positive impact of their new smile. The high-quality veneers that Dr. Kosdon uses are made from extremely durable ceramic materials that withstand normal wear and resist staining; however, it is still important to maintain good hygiene habits and regular dental visits. If you are prone to clenching and grinding, wearing a nightguard is also recommended to protect your veneers. When properly cared for and maintained, it is possible for high-quality porcelain veneers to remain strong and beautiful for decades. If you are interested in finding out if porcelain veneers are right for you, we invite you to schedule a consultation with Dr. Kosdon.